Ella must have been one of my Grandma’s good friends, because she has quite a few recipes in her box with a note on the side saying she had copied it from her. I imagine that a lot of time with friends was spent discussing and copying recipes. Maybe something that they had made and brought to a church potluck or served when a family came over for dinner. After whipping up “Pearl Curtis’ Pie Crust,” I had a beautiful crust, but no pie. 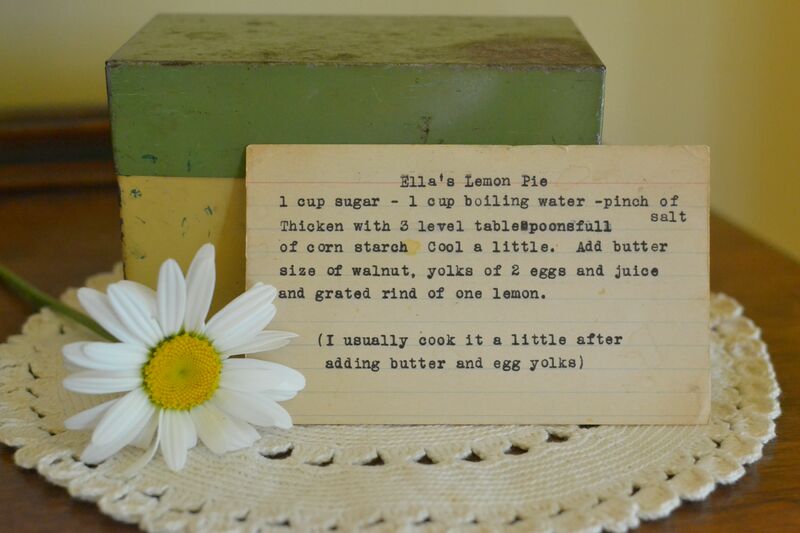 I flipped through Grandma Dora’s recipe box and found “Ella’s Lemon Pie.” It sounded simple enough, plus, my husband loves all things lemon, so I figured it would be a win-win. I pulled out all of the ingredients and got started. 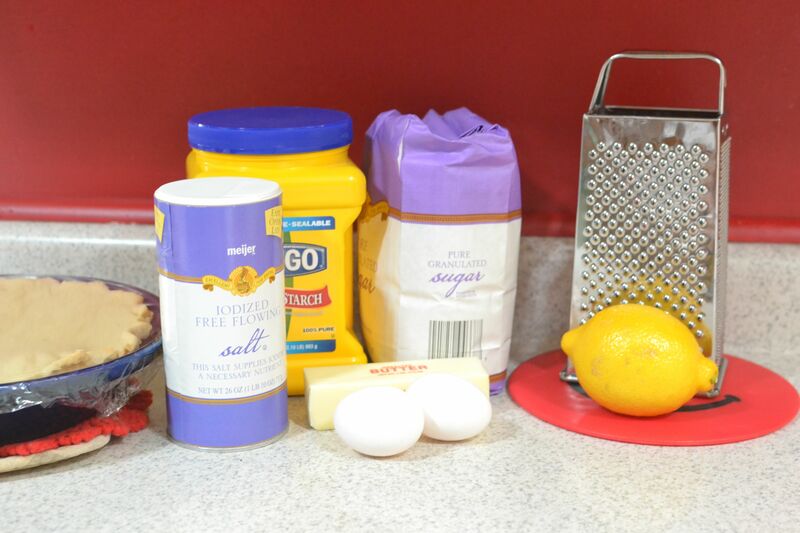 I started out by measuring a cup of sugar and putting it into a saucepan with a pinch of salt. I then measured one cup of water and poured it into the saucepan and whisked it together. I turned the burner onto medium heat and added three Tablespoons of corn starch while whisking continually until it heated up and thickened. I heated it to a boil and timed it for one minute. Then I removed it from the heat and let it cool for a few minutes. 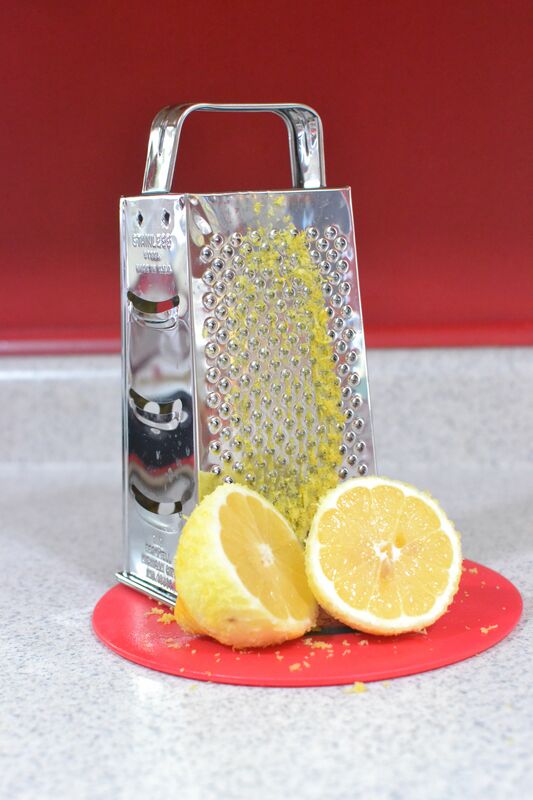 While the sugar mixture was cooling, I washed and grated the rind of one lemon. I needed to juice the lemon, so I borrowed an older juicer from my mom. It actually belonged to my other grandma, her mom, who lived in Florida with a yard full of fruit trees. I remember her juicing oranges and lemons when we would visit her house a couple times a year. My son jumped at the chance to help with this. 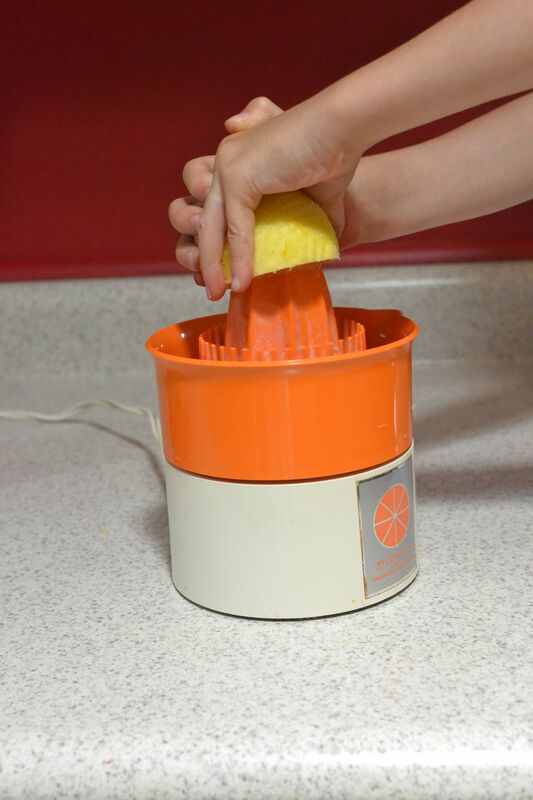 What boy can resist a kitchen appliance that makes noise, rotates and squeezes the juice out of something?! He juiced the lemon and I added the juice, rind and eggs to the saucepan. I whisked it continually and brought it back up to a boil. Then I timed it for one minute until it thickened again. Next I poured it into my prepared crust, covered it with saran wrap and put it in the fridge to set. This can take 4-5 hours, but I left mine overnight. Combine sugar, water and salt in a saucepan. 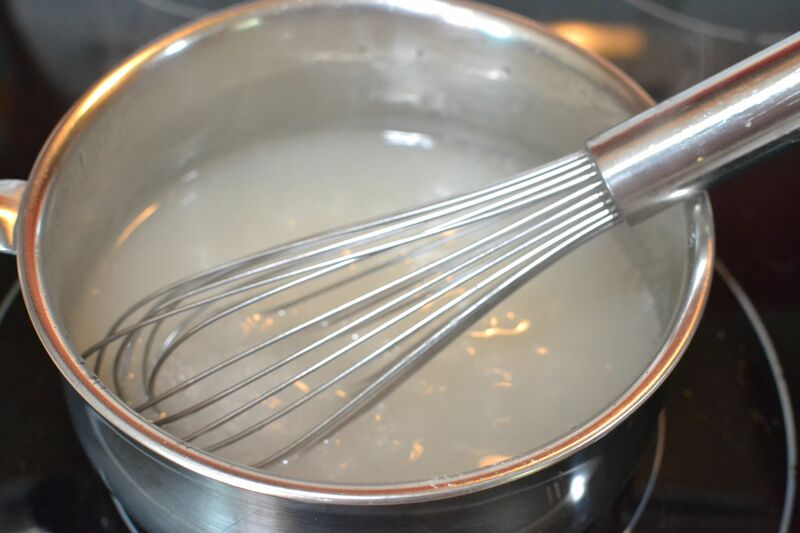 Stir in corn starch and whisk continually. Bring mixture to a boil and time for one minute. Mixture should be thick. Take off of the heat to cool slightly. 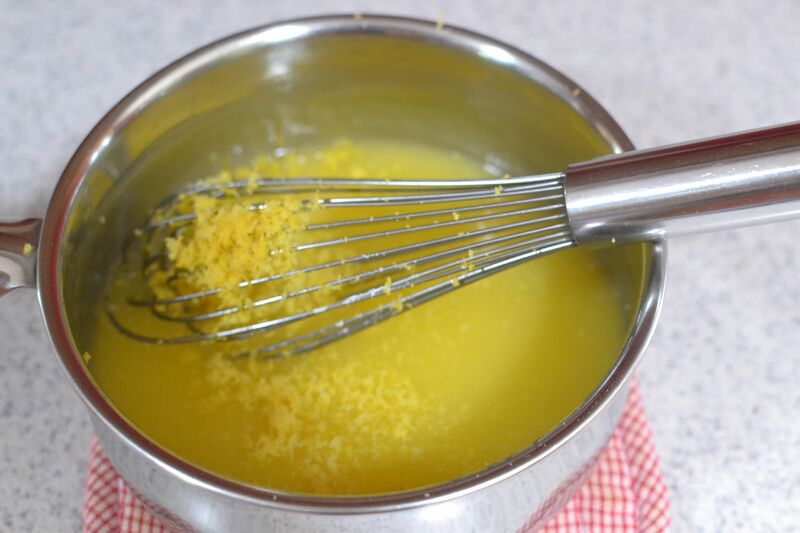 Add in butter, eggs, lemon juice and rind. Put back on heat and continue whisking. Bring back to a boil. Time one minute. Again mixture should be thick. Pour into baked pie shell. Chill in fridge until set. 4-5 hours or overnight. The next day, I garnished the pie with cool whip before serving and dished this out for my family who was over for dinner. It got rave reviews! 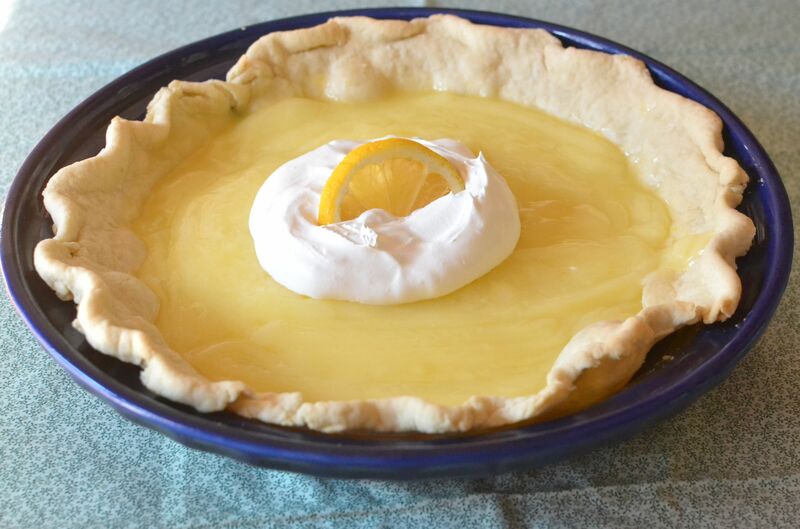 It is a cool, creamy lemon filling that isn’t overpowering. It’s “just the right amount of lemon, not too much and not too little” was my mom’s response. It’s a perfect summertime pie! 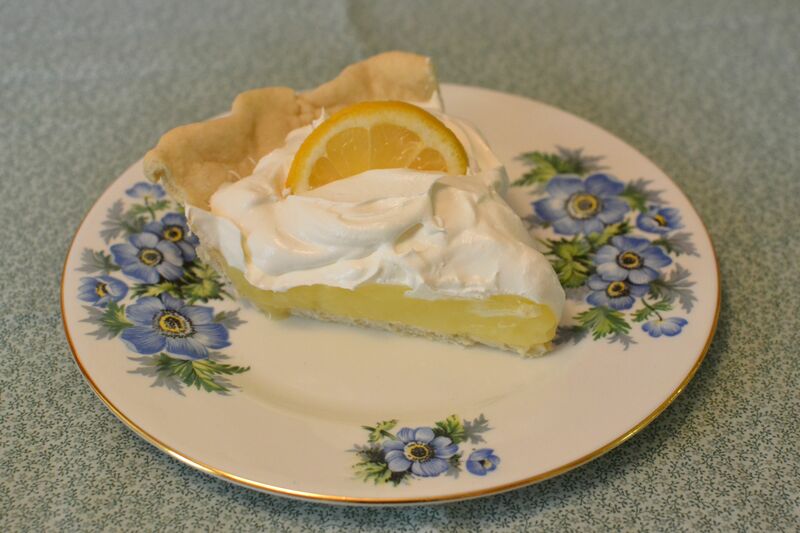 This entry was posted in Pies and tagged baking, farm cooking, grandma's cooking, homemade, lemon dessert, lemon pie, scratch cooking, Summer dessert by GrandmothersRecipeBox. Bookmark the permalink.